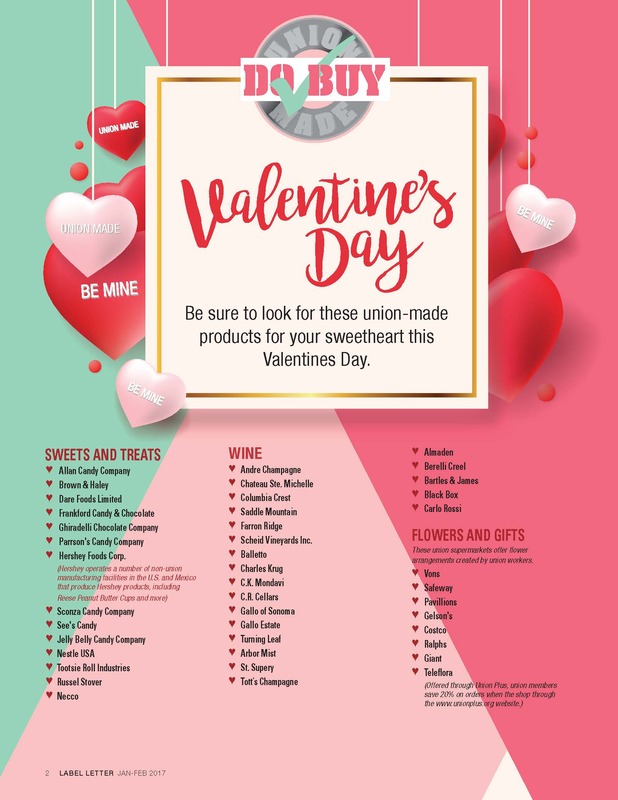 Celebrate a Union-Made Valentine’s Day! You are here: Home › Top News Stories › Celebrate a Union-Made Valentine’s Day! Nothing lasts longer than union-made romance! Celebrate February 14 with your special someone and some union-made classics. Along the way, support your BCTGM Local 464 and UFCW 1776 brothers and sisters by buying Pennsylvania’s very own Hershey’s chocolates!